It all starts here. What we want our machines to do is too complicated. We cannot tell them all they need to know to perform most of real useful tasks in the knotty world we live in. We cannot program them for super complex tasks. That’s partially because a large part of our knowledge is tacit and for example, we can’t fully explain to other human or machine how to recognize a plastic bottle in a mountain of garbage. Then, we use a different strategy: to develop algorithms that allow our machines to learn what they need to know. This way, the machines learn how to solve their own problems (from a huge number of examples and using structured feedback) rather than being explicitly programmed by us for a particular outcome. 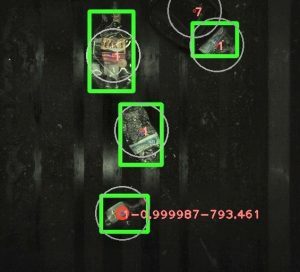 We make use of many kinds of machine learning techniques, including state of the art multi-layer neural networks (what today is known as Deep Learning). Of course that would be impossible if we were not using GPU-accelerated parallel high performance computing, mainly on the cloud. For more information about Artificial Intelligence World and applications please check this enlightening article from Harvard Business Review The business of Artificial Intelligence. Artificial Intelligence allows us to teach machines to understand real-time video images. This is extremely important, as they are then able to know what is happening in their environment. 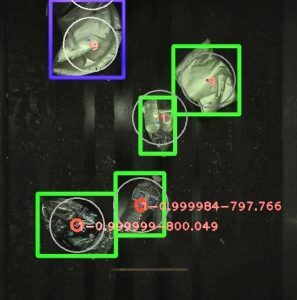 We use 2D and 3D cameras to allow machines recognize objects that they have never seen before. That’s not different of what we, humans, do when we see a bird on the street. We, almost sure, have never seen that specific bird… but we know it’s a bird. If you are not familiar with current A.I. and computer vision astonishing developments and want to know more, you can see this very interesting introduction by Stanford’s Artificial Intelligence Lab Director, Fei-Fei Li. How we are teaching computers to understand pictures. Our algorithms and real time massively parallel software are able to detect and recognize very difficult objects in very complex environments (click here for an example). We are outperforming human capabilities in some cases. For this to be possible, we make of use last generation of A.I. algorithms and Computer Vision techniques … and many terabytes of proprietary labeled and segmented images. This is the reason of all our Artificial Intelligence and computer vision efforts. We want machines to perform real useful tasks in the world we live in. That’s what the robotics revolution is doing. Robots have been with us from many decades ago. Until now they have been mainly confined to perform specialized tasks inside controlled industrial plants or remote areas in and outside our planet. Up to now, robots have been mainly steel and copper artifacts that repeat in a fast and precise way very simple actions. But this is changing at a breathtaking speed as we are learning how to teach robots to perform more and more complicated tasks in more and more difficult environments. We are convinced that robotic developments will change our world, the same way that Watt’s steam engine, electricity or computers have done in the past. Our technology is allowing us to build robot systems that perform Dangerous, Dirty and Dull tasks required by our society so we, human people, can focus on most rewarding and value creating jobs.